How do I decide which guitar is right for me? 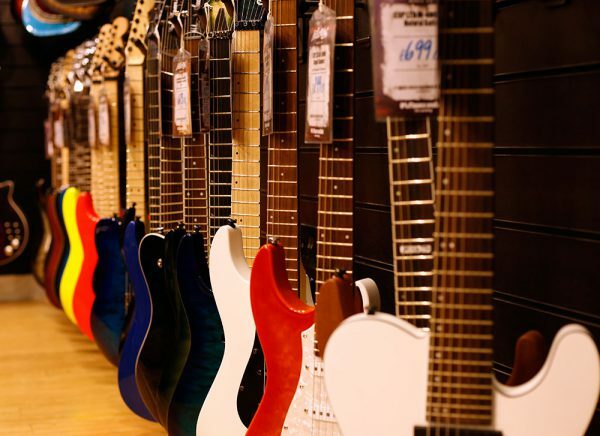 Exciting times are ahead, It’s time to buy your very first electric guitar! As a newcomer to the electric guitar, it can seem overwhelming with the vast amount of choice and styles of guitar to consider. There are various aspects to look at before you choose an electric guitar for a beginner. However, before you split with your hard earned cash, it’s a good idea to consider what style of guitar will suit your needs (and wallet!). This will minimise the risk of an impulse purchase when hitting the shops which could result in you over spending, regretting your choice or even worse not wanting to play! Ask yourself this simple question: ‘Why do I want to learn to play guitar?‘ Think about some of your favourite guitarists that have inspired you to learn, do you have a sound or tone in particular that you like? Maybe you’re into the crisp twang of a country guitar or the thick, rich sound of classic rock? Whatever the style you decide, your future guitar is waiting out there ready for you to play it! If you are planning on jamming with friends or gigging, It is important to remember that within your budget you will want to have enough left over for a small practice amplifier. Other essentials include an instrument cable, a comfortable strap and strap locks, plectrums as well as some spare string sets, a tuner and a music stand too. What if I don’t want to stick to one genre of music? That’s great news if you have influences from a range of genres and styles of guitar music. Of course it is very common to have a wide range of musical tastes, listening to a vast range of music as and when the mood takes you is one of the great pleasures of music. As a beginner to the guitar it is beneficial to have an interest in more than one style of music as over time you will progress and take influence from different styles of playing to create your own signature sound. As a beginner guitarist, the key point to remember is every standard electric guitar, no matter what shape, size or style, will all have a six strings tuned to standard tuning and a fretboard. They will all need an amplifier to project their sound and no matter what you choose, chords, scales and and techniques will be transferable to any future guitar you may own. I have a limited budget, what should I do? If you are strapped for cash but are striving to own your first electric, you many want to consider looking at guitar starter packages. 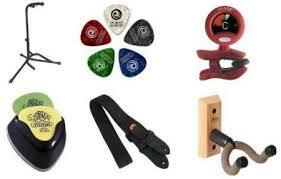 These are a great way to save money and because they contain everything you need to start playing electric guitar you won’t have to worry about buying anything else. Also think about buying after seasonal breaks as many music stores slash prices on guitars and there are some real bargains to be had if you keep an eye out. Have you considered picking up a secondhand guitar from ebay or your local music store? If you are still lucky enough to be at school age, you can ask to borrow a guitar over weekends or perhaps you know someone with a guitar they no longer play? Great post. I picked up a guitar for the first time two years ago while dealing with a difficult breakup and found myself progressing faster than expected. I’m now in the market for an electric after playing my trusty Yamaha F320 all this time. You really make it more clear for me and I feel more informed making my decision. Thanks Jean! Just one of the positive effects of playing guitar, it can improve your mood for the better. Yamaha guitars are great, I actually have a pimped up pacifica myself!